Wikisource has the text of the 1911 Encyclopædia Britannica article Louis. Louis is the French form of the Old Frankish given name Chlodowig and one of two English forms, the other being Lewis (/ˈluːɪs/). The Frankish name is composed of the words for "fame" (hlōd) and "warrior" (wīg) which may be translated to famous warrior or "famous in battle". Louis the Pious, Emperor and King of the Franks from 814 to his death. Prince Louis of Cambridge (b. 23 April 2018), third child and second son of Prince William, Duke of Cambridge, and Catherine, Duchess of Cambridge, great-grandson of Queen Elizabeth II. Louis Zamperini (1917–2014), American World War II veteran, Christian evangelist and an Olympic distance runner, best known for being a Japanese POW survivor. ^ M. Petrossian (ed.). New Dictionary Armenian-English. Librairie de Beyrouth. François Louis de Bourbon, le Grand Conti, was Prince de Conti, succeeding his brother, Louis Armand de Bourbon, in 1685. Until this date, he used the title of Prince of La Roche-sur-Yon. He was son of Armand de Bourbon, Prince of Conti and Anne Marie Martinozzi, daughter of Girolamo Martinozzi and niece of Cardinal Mazarin, through her mother. He was proclaimed as the King of Poland in 1697. He is the most famous member of the Conti family, a cadet branch of the Princes of Condé. As a member of the reigning House of Bourbon, he was a prince du sang. The title of Prince of Conti was a French noble title, assumed by a cadet branch of the princely house of Bourbon-Condé. 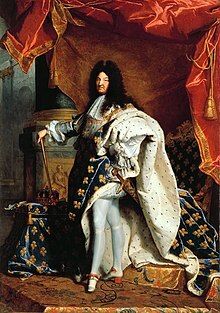 Louis de Bourbon, or Louis III, Prince of Condé, was a prince du sang as a member of the reigning House of Bourbon at the French court of Louis XIV. Styled as the Duke of Bourbon from birth, he succeeded his father as Prince of Condé in 1709; however, he was still known by the ducal title. He was prince for less than a year. Louis Joseph de Bourbon was Prince of Condé from 1740 to his death. A member of the House of Bourbon, he held the prestigious rank of Prince du Sang. 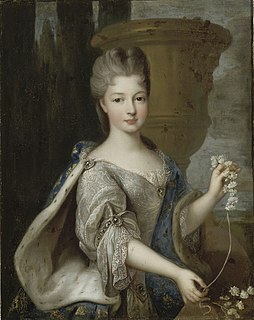 Louise Élisabeth de Bourbon was a daughter of Louis III de Bourbon, Prince of Condé, and his wife, Louise Françoise de Bourbon, légitimée de France, a legitimised daughter of King Louis XIV of France and his famous mistress, Madame de Montespan. Louise Adélaïde de Bourbon was a French princess of the Blood and member of the courts of Louis XIV and his successor Louis XV of France. She never married, but she had many illegitimate children.